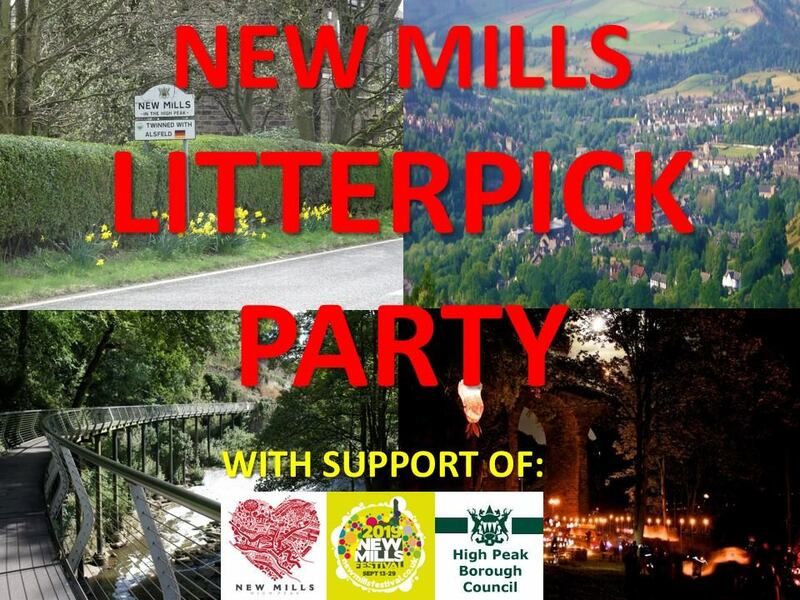 New Mills litter pick party is a group of like-minded people who volunteer their time and energy, because they want to keep a clean and tidy neighbourhood free from litter, and have fun. It has been running since 2016, in that time we have done 20 litter picks and collected almost 600 bags of litter as well as larger sundry items. Through the use of social media we have built a community of people who care about the removing litter on our streets and who wish to work towards making New Mills litter free, we couldn’t do this without the support of Visit New Mills, New Mills Festival and High Peak Borough Council as well as all the volunteers. We organise litter picks every 4-6 weeks, trying to alternate between Saturday and Sundays, on average a dozen people come to help at each pick. We ask the group and community for hot spots locations to litter pick and have had to repeat some of the more problematic areas each year. During this time we’ve found items as diverse as a furniture, tyres, Hi-Fi’s, Vinyl Records, “marathon” chocolate wrappers from 1990, crisps packets and drinks cans from 1987, making them over 30 years old and still intact. 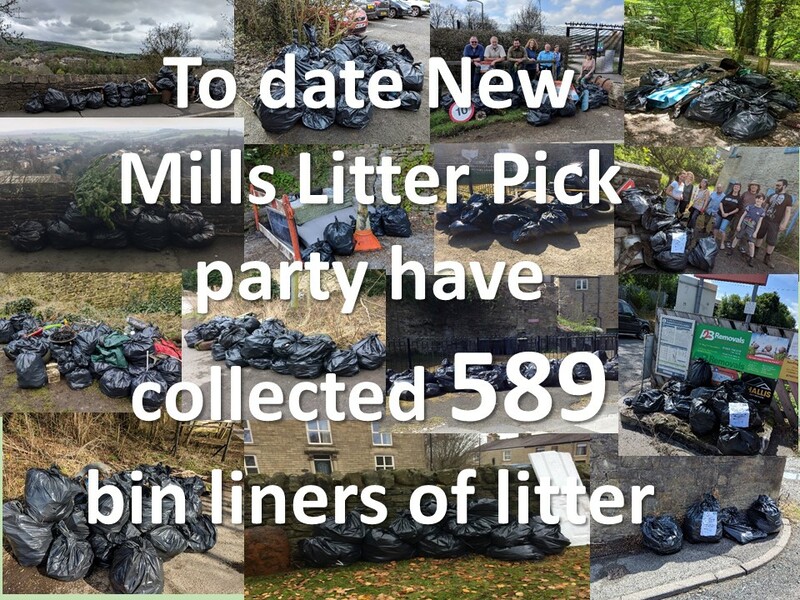 It does seem like a never ending battle, by far the biggest litter problem we come across is plastic drink bottles and dog mess in bags, and we are now working towards an anti-litter campaign to try and reduce the amount of litter in New Mills. In 2019, we would like to get people involved and as part of Keep Britain Tidy campaign, we have decided to participate with New Mills Spring Clean from 1st-14th April 2019. So, what can you do? Like our social media accounts and share to educate others. Donate a prize for the New Mills Spring Clean or funds to get more equipment for our growing group. 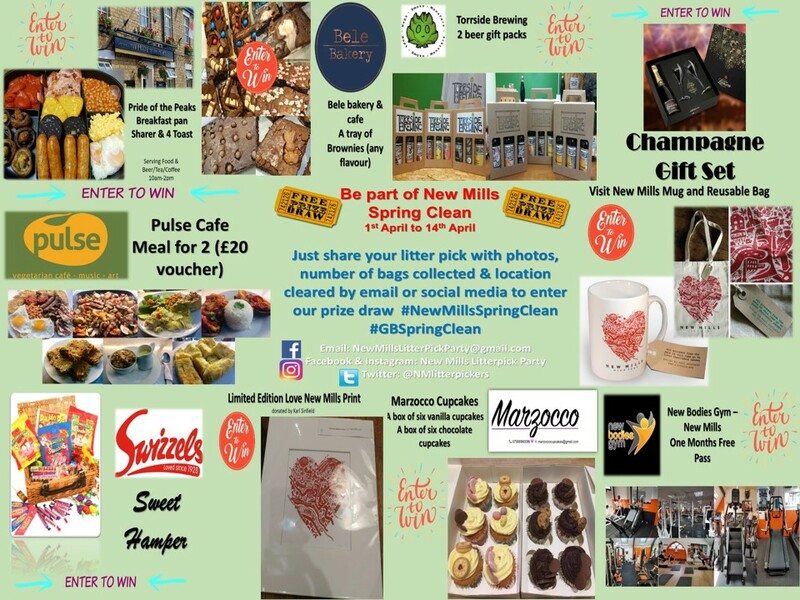 To help we also have hints and tips (HSE) information and a 2-minute video, Litter Bingo for the younger participate (or older if you’re like me), equipment we can loan out and, during New Mills Spring Clean the chance to win a prize in our participation draw – see photo below.